May 10th 2010, The TVP of Georgia and TVP of Tennessee are now an official affiliates of the TVP. On May 10th the State Bylaws Template Has been updated. Minor spelling errors were corrected. This Month’s Meeting Date: Click here to enter a date. Standard of living for everyone in Virginia! Meet founders of the Party and hear them explain the Prime Law! Come help build a new political party! will come to you as a result! live question and answer sessions! Your Ticket(s) will be waiting for you at the door. Thank You for your support of The Twelve Visions Party of Virginia! Good evening everyone! This is Rusty Sweet from Sioux City, Iowa. I have been selected as the Twelve Visions Party® Midwest Regional Chair. The States included are: Illinois, Indiana, Iowa, Kentucky, Michigan, Minnesota, Ohio, West Virginia and Wisconsin. My goal is to help the following States obtain Affiliation with the Twelve Visions Party® National Committee. As self leaders may we grow the Twelve Visions Party® and show this Nation that we are different from the other Political Parties! With the Prime Law, we will promote a Protection Only Government. The first Twelve Visions Party® Midwest Regional Conference Call will be held on Wednesday, April 28th at 7pm CDT. The phone number will be 218-895-2997. The pass code will be 71809#. I understand that Michael Dilworth and Bill Hunsicker will likely be on the first call to make sure it goes smoothly. This event has been postponed. Further details will be announced as they come. Description: 2nd Virginia TVP Convention in the Old Dominion State. 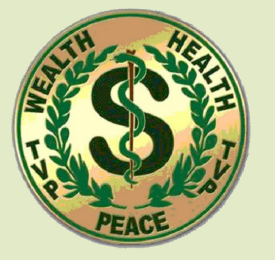 Come meet the Founding Visionaries of the TVP®CA. Will Make All the People Rich Including the Poor“. Dreams Really Do Come True”. Come enjoy all the fun, food, and live entertainment on tap for this joyous occasion. Come have all your questions answered and your suggestions implemented. 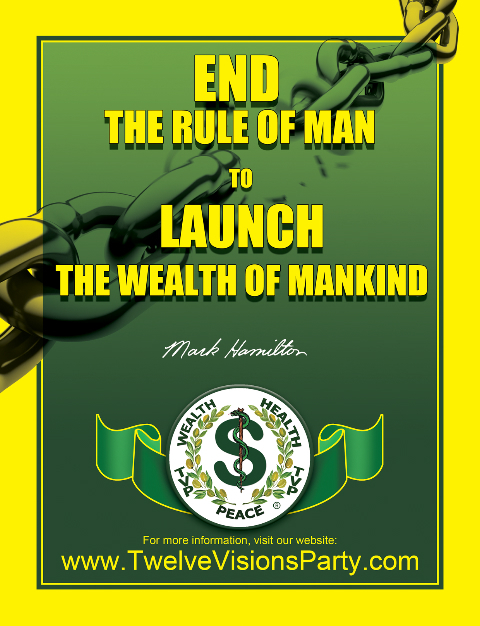 $50 donations for admission and $20 donations for Mark Hamilton’s new book Wealth, Health, and Peace should be sent, in advance, using PayPal to California_TVP@Comcast.net. For more information call 916-367-4737 or e-mail California_TVP@Comcast.net.